Nobody knows the consequences of finding faults in others and hence the cycle continues. Since you do not have the right vision for conflict resolution, you find fault in others, and at the same time, you not only see the fault, but you also see the person at fault. And when you make them aware of it, it hurts them. Even if you spoil your inner intent by seeing their faults, your vibrations reach them. Param Pujya Dadashri explains, "One binds karma by seeing faults in others and becomes free from his karma by seeing his own faults.” When you see a fault is someone, a layer of ignorance is added on your Soul. The greater the layers of ignorance on the Soul, the more you have to wander around in this world. With the Flawless Vision, avoiding conflicts becomes easy, as it is a type of conflict resolution. It allows you to see your own faults, and therefore become free from the cycle of birth and death. This Flawless Vision is imparted through a Self Realization ceremony. 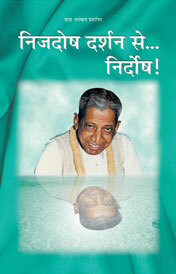 You can obtain Self Realization from the current Gnani Purush Pujya Deepakbhai Desai. 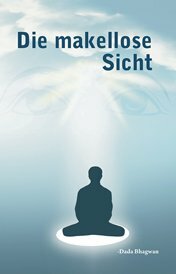 Pujya Deepakbhai describes how, after Self-realization, as you remain in the state of the pure Soul, you will begin to view the world with flawless vision. To criticize someone is the same as squandering away your wealth. Your mistakes and your blunders are your only superiors. So if you are not at fault, no one in this world will bother you. There is nothing wrong with making a mistake, but you should be able to see that mistake. In order to destroy a mistake, you must accept it and regard it as a mistake. You cannot go on protecting it. The adversities that one has to face, are in reality preceded by the strength to endure it. If this were not the case, people would be destroyed. This is a natural law. No one in this world is at fault. It is because of your incorrect perception that you see others at fault. This world is truly independent and no one can interfere with another. Suffering exists as long as you see faults of others. You are liberated when you cease to see faults in others. The moment you begin to see your own faults, you begin your journey to the state of full Enlightenment. When one's knowledge and understanding become flawless, one is liberated.